Hi Everyone, Kristina here today sharing my first project with my new Safari Thanks set from Hero Arts. When I saw this set in the new release I knew it would one I could get multiple uses out of. It also has a coordinating die! I love the solid images, and decided to use them to make my own backgrounds / patterned paper. 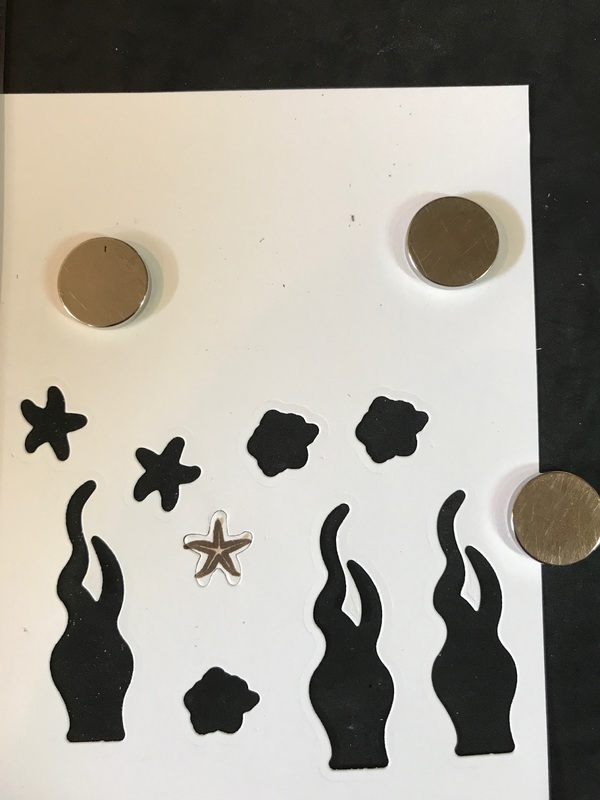 To quickly create patterns, I just set up the stamps, and moved the paper around in my MISTI until I had the whole card panel covered with pattern. 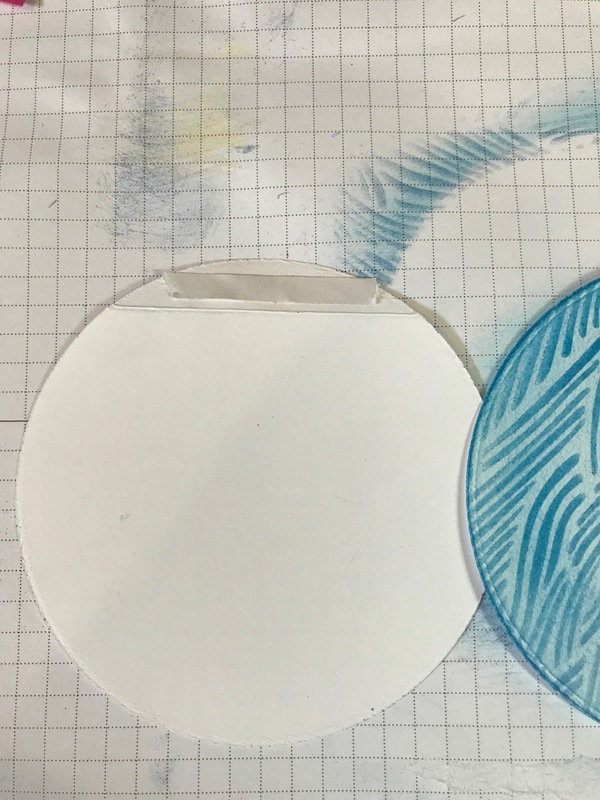 You could also do this with an acrylic block, I just like being able to double stamp with my MISTI for a more bold impression. After I had my backgrounds done, I trimmed them down to 4×5.25 and mounted on a card base made from the same color, with some shimmer on the edges from a wink of stella glitter marker. For my focal point / sentiment I stamped the main animal image, with some lighter images stamped around. To achieve the lighter images I just did a 2nd generation stamping (stamp onto another piece of paper to get some ink off, then stamp onto the project). 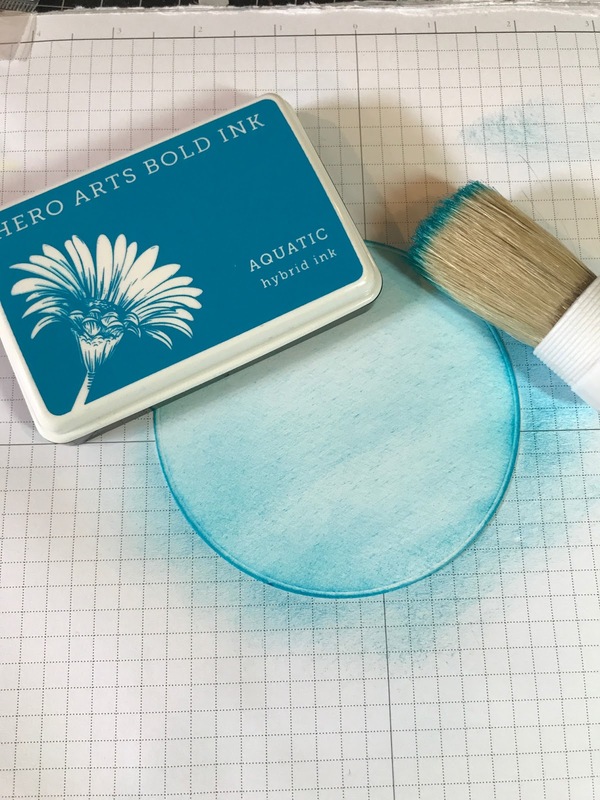 After the ink had dried, I heat embossed my sentiments with Hero Arts White Embossing Powder, cut the whole thing out with some circle dies, and popped it up with fun foam! Categories: Handmade Cards, Hero Arts, Thank You Cards | Tags: Kristina, Safari, Thanks | Permalink. I stamped the images in Archival ink and painted with both regular watercolors and Twinkling H2O watercolors. Added splatters, and embellished with sequins. The Produce And Seeds stamp set is on sale right now in the a2z Etsy store. Use my promote code Cindy15 to get an extra 15% off. Categories: Coloring, Friendship Cards, Handmade Cards, One Layer, Thank You Cards, Watercolor | Tags: Thanks | Permalink. 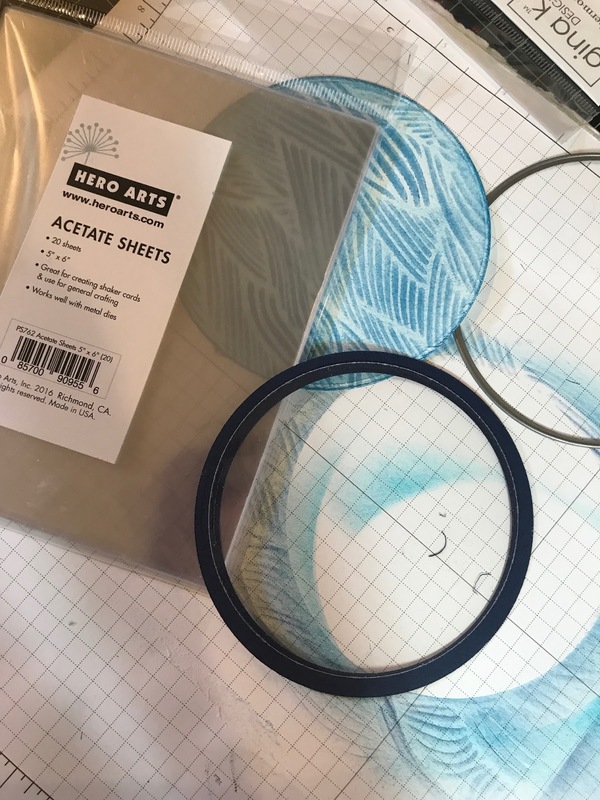 I’d Never Forget You a2z Scrapbooking Supplies and Hero Arts!!! Hello dear friends, Martha Lucia here to share with you another shaped card and my last card as a Designer for a2z Scrapbooking Supplies. These two years have been amazing to me but I am leaving the team because I need to take care of some personal things but I want to let you know that I love my time sharing with you and creating with amazing products. To make my card I used a Circle Stitched Die Cut that I cut twice. The first time with the card stock folded to create the card base and the second using a single layer of card stock that I decorated and pasted over the base. Use the Spiral Petals Stencil and the Hero Arts Aegean Bold Ink to create the background with the ombre effect. I used a sponge to have better control over the effect. Stamp the flowers including on the stamp set Color Layering Hibiscus using three different colors of ink. For the base I used the Butter Bar and for the accent I used the Red Royal, colors included on the collection Water Lilies Layering. For the center of the flowers I used Hero Arts Moss Hybrid Ink. Fussy cut the flowers or use the corresponding die cuts, Color Layering Hibiscus Frame. Stamp the leafs using Hero Arts Moss Hybrid Ink for the base and Hero Arts Pine Ink. Fussy cut the leafs or use the corresponding die cuts, Color Layering Hibiscus Frame. Assemble the flowers and leafs on the top of your card using dimensionals and snail adhesive. Stamp the sentiment from the stamp set I’d Never Forget You using Hero Arst Intensive Black Ink. Thank you for this amazing year and I hope to be with you soon!!! The a2z scrapbooking store carries a wide variety of Hero Arts products! Get discounted new releases, sales, grab bags & more. Proceeds from our store benefit Celiac & Behcets disease foundations. Use my discount code MARTHA15 to get 15% off your purchase of $25 or more. If you’re looking for a Hero Arts product you don’t see in store, use the Request Custom Order button from within the shop. Categories: anything goes, Clean and Simple, color layering, Flowers, Friendship Cards, Handmade Cards, Stencil, Thank You Cards | Tags: a2z Scrapbooking, Cards, CAS, clean and simple, color layering, die cuts, embossing, Flower Cards, Flowers, Friendship Cards, Hero Arts, Martha Lucia Gomez, stamping, stamps, stencil, stencils | Permalink. You Make my Heart Smile with Hero Arts. This is the sentiment that I selected to create my card. It is part of the stamp set Love by Lia and I used a non traditional form in my creations. Welcome to another “Take Shape” inspiration sample. Hello crafty friends, Martha Lucia here with you to share a card with banner or tail fish shape. I really love to receive cards with different shapes and this is sample that you can use and put easily in an envelope because it is a regular size. To cut this I used a double stitched banner from Peek a Boo Designs and I kept my card stock folded on top and below the die border to give my card form. Then I cut a stitched rectangle on whisper white card stock and stamped over the right side one of the sentiments that came included on the stamp set Love by Lia. I love this set because the sentiments and fonts that are included on it are a great size and very useful. I pasted the stitched rectangle directly over the top of the banner. To complete the card, I stamped four little envelopes over decorated paper and fussy cut them with my scissors to paste over the card using dimensionals and snail adhesive. The final touch, two loops of red and white bakers twine. All the images from the stamp set Love by Lia were stamped with Hero Arts Intensive Black Ink. The a2z scrapbooking store carries a wide variety of Hero Arts products! Get discounted new releases, sales, grab bags & more. Proceeds from our store benefit Celiac & Behcets disease foundations. Use my discount code insert your code here to get 15% off your purchase of $25 or more. If you’re looking for a Hero Arts product you don’t see in store, use the Request Custom Order button from within the shop. Hero Arts Intensive Black Ink. Categories: anything goes, Clean and Simple, Friendship Cards, Handmade Cards, Thank You Cards | Tags: a2z Scrapbooking, a2z Scrapbooking Store, Cards, CAS, clean and simple, die cuts, Flower Cards, Friendship Cards, Love, Martha Lucia Gomez, stamping | Permalink. It’s Donna hereo share with you a shape card made with the Hero Arts, “Nesting Circle Infinity Dies”. I have created a shaker card using the “Color Layering Sea Turtle” stamp set. I hope you will join the fun this month which is “Take Shape”, you can use any shape card and use at least one Hero Arts product on your card to qualify for the prize. 6, I used the Hero Arts Acetate Sheet to create the front of the shaker. 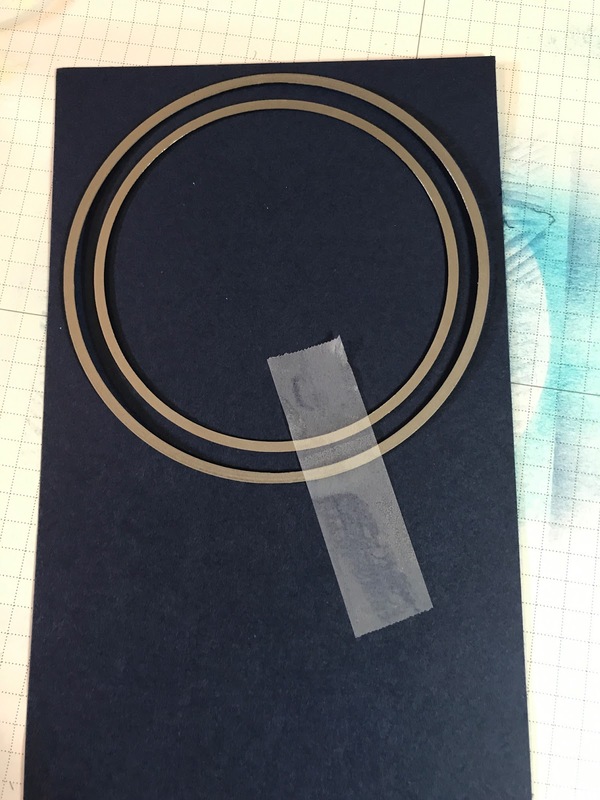 I used the large circle to cut the acetate and then used liquid glue to glue the blue frame and the acetate together. I glued all my elements and added the sequins to the stenciled circle piece, then used foam tape around the frame and acetate piece and adhered it to the stencil part of the shaker. I hope you have enjoyed looking at my shaker card, I really had fun creating it. Are you on social media? We are! Please join us on Twitter, Instagram and Facebook? so you don’t miss any fun promotions or new challenge announcements! Categories: color layering, Friendship Cards, Handmade Cards, Hero Arts, Shaker Cards, Stencil, Thank You Cards | Tags: Gina K Designs premium white card stock, Hero Arts Acetate sheets, Hero Arts Color Layering Sea Turtle stamp set, Hero Arts Green Sequins, Hero Arts Nesting Circle Infinity dies, Hero Arts Ombre Ocean, misti | Permalink.